We've already started receiving a ton of emails from concerned readers about L's app compatibility issues, broken functionality, and the like. Of course, we understand how frustrating this can be, but that's actually the point of the developer release. 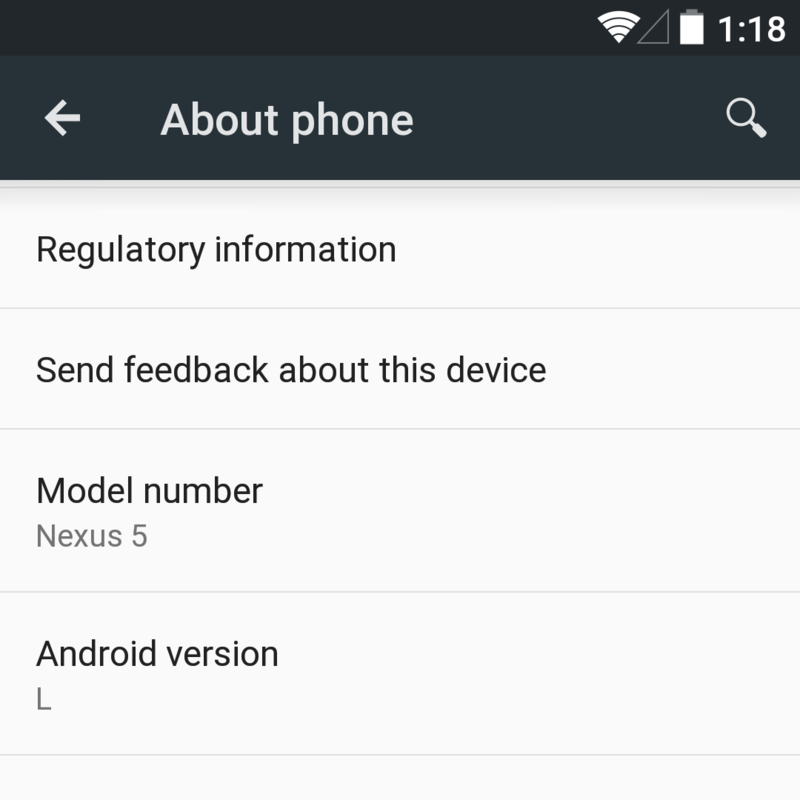 One of the primary purposes behind Google releasing L for the Nexus 5 and 7 is so developers can get their apps updated before the stable version rolls out, as the switch from Dalvik to ART requires apps to be updated to add support for the latter. 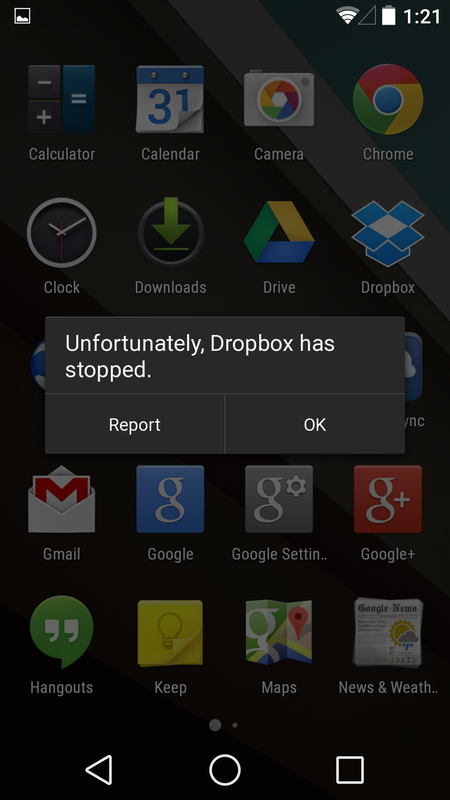 So, naturally, many apps are going to be broken right out of the box for the time being (some examples: Facebook, Twitter, Dropbox, and Dolphin). Leading up to the official release this fall, more and more developers will push updated versions of their apps that fix the incompatibility issues. But even as apps gain compatibility, it's worth keeping in mind that this build of L isn't yet a complete OS. 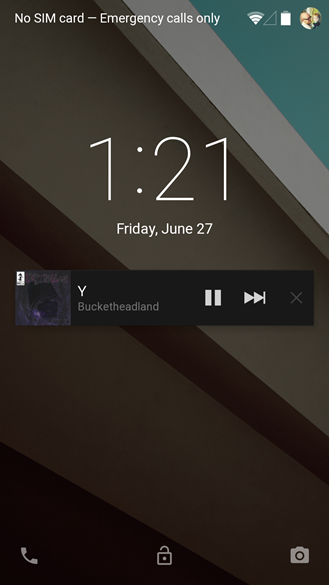 Certain features are missing, others are incomplete (like fullscreen album art on the lockscreen, for example), and there are bugs/oddities all throughout the OS. This is basically alpha-level software that we're looking at here – stable enough for devs to get their hands on and start working on app compatibility, but definitely not ready for primetime. Of course, we also understand that everyone is curious as to what the newest version of Android is going to look like, how it's going to work, what changes have been made, and all that other fun stuff. We don't want to discourage users from giving it a shot, but we definitely don't recommend installing it on your daily driver either – it's simply not ready for that. If you have an extra phone to use while testing out L (or you don't mind sacrificing your tablet in the name of exploration), then by all means, go for it. 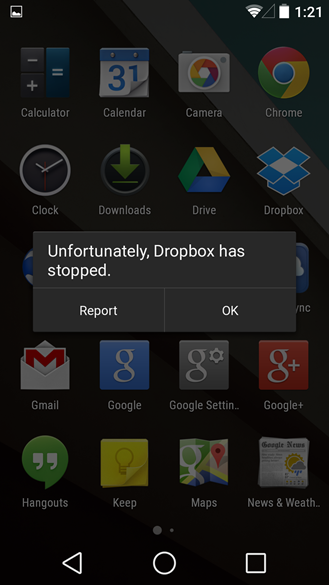 This is something that can actually help the Android team find and squash bugs in L early on. It would be completely unfair of us to run Bug Watch articles (or similar) for every issue found in L, since this isn't made for daily use (or for anyone outside of the development community, honestly). By submitting issues directly to the bug tracker, we can ensure that they're at least made aware of what users are finding and resolve issues quickly. The preview has quite a few known bugs. I can think of a half dozen apps off the top of my head that crash on launch for varying reasons, most of which can't remotely be considered their fault. The preview hasn't had our usual, "stay bug compatible with old versions" pass yet either; for apps that were doing things that were technically wrong in the first place we usually take a pass at making sure we preserve old (but often broken) system behavior based on the targetSdkVersion declared in the manifest to keep existing apps working as they were originally intended.